Ed Oden works primarily with institutional lenders in a wide range of commercial real estate finance transactions, including CMBS conduit financing, other permanent lending transactions, construction lending, loan servicing, loan purchase and sale transactions, repurchase facilities and multistate syndicated loan facilities. 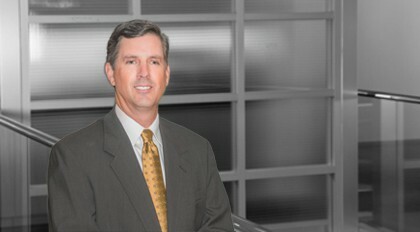 His experience spans all types of commercial properties, including retail, office, multifamily, industrial, warehouse, healthcare, hotel, self-storage and mixed-use properties, and issues such as tenant-in-common structures, fee and leasehold transactions, hyper-amortization transactions and fractured condominiums. In addition, Oden has experience in lease transactions, sale-leaseback transactions, purchase and sale transactions, real property workouts, foreclosures and other general real estate matters.